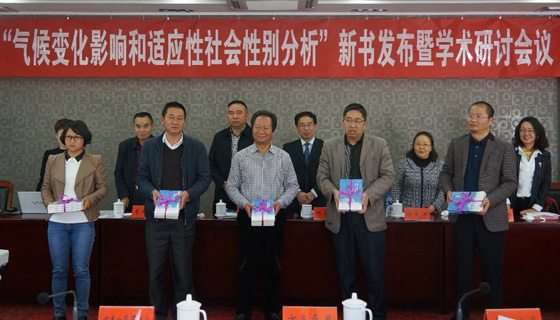 The Deputy Director of Kunming Institute of Botany (KIB), Professor Yang Yongping, delivered a welcome speech and praised the accomplishments of the authors who contributed to this book. As the coordinator of HICAP in China, Prof. Yang introduced the HICAP research programme and KIB’s partnership with ICIMOD. 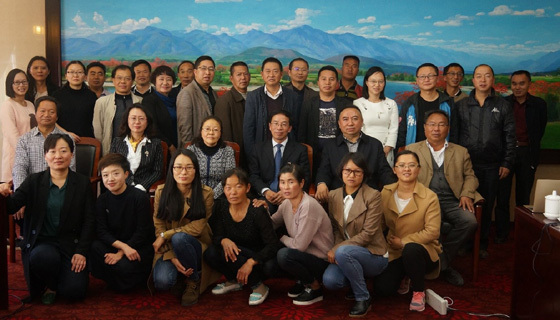 He emphasized that women in mountainous rural areas play the leading role to cope with and adapt to climate change in Southwest China, and generally assume more responsibility than men. However, despite this increase women’s responsibilities, they are often excluded from the process of policy development and decision making, which affect their daily work. Therefore, it is necessary to encourage and support women to participate in the decision-making processes and practice. More attention is needed to integrate resources, and raise the awareness of gender sensitivity in these formal processes. Sun Dajiang, one of the editors of the book from the Yunnan Academy of Social Sciences, provided an introduction to the book. Chapter authors Su Yufang, Ou Xiaoou and Zou Yahui also presented their research results. Mr. Lu Xingyong, a Member of the Standing Committee of the Baoshan Municipal People's Congress, commented that the book has great social value and significance for relevant policy-making. Mr. Zheng Jiawen, a senior researcher from Baoshan Agricultural Research Institute told the gathering that some traditional crops are no longer suited to current conditions after persistent droughts in Yunnan. Mr. Zheng noted, the government is currently emphasizing agricultural supply side reforms, and the research results contained in the book could be used to improve the impact of the proposed reforms. This book was developed as part of the Himalayan Climate Change Adaptation Programme (HICAP). HICAP is implemented jointly by the International Centre for Integrated Mountain Development (ICIMOD), GRID-Arendal and the Centre for International Climate and Environmental Research – Oslo (CICERO), in collaboration with local partners, and is funded by the governments of Norway and Sweden.